Four Seasons at Beaumont is a favorite among active adult buyers who want a premiere Southern California location, gorgeous views, world-class amenities, and modern homes. Set in beautiful Southern California, Four Seasons at Beaumont is a spectacular active adult community which offers resort-style amenities, gorgeous scenery, and luxurious homes. The gated development is open to residents aged 55+, and its many recreational and social activities encourage a healthy, active lifestyle. This beautiful K. Hovnanian property opened in 2005 and will one day contain 1,923 residences, including both single-family and attached duplex homes. Once the community is complete, it will be one of K. Hovnanian’s largest active adult communities. The lovely homes at Four Seasons at Beaumont feature expansive floor plans with desirable design elements like gourmet kitchens and luxurious master bedroom suites. New homebuyers will be impressed with the variety of homes found throughout the community, which currently include 25 different layouts. From 2005 to the first half of 2011, new construction homes at Four Seasons at Beaumont featured models in six different collections: the Springdale, Monarch, Arbors, Heritage, Laurel, and Landmark collections. 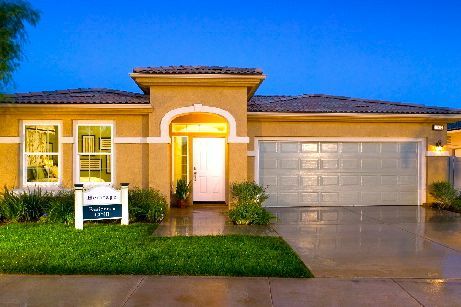 These models range in size from 1,183 to 2,775 square feet and are now available as resale homes. 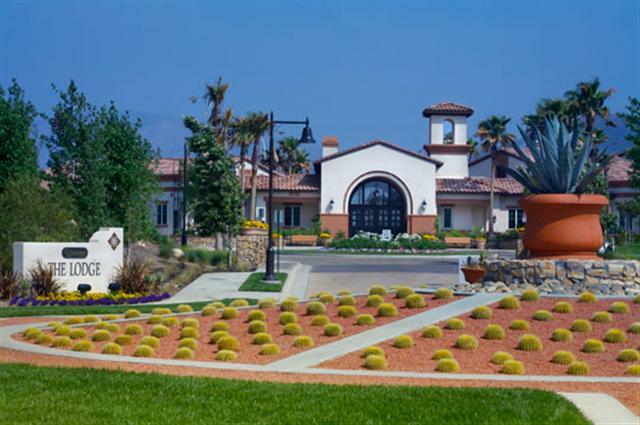 In July 2011, K. Hovnanian unveiled all-new model homes divided into two distinct collections. The Colonnade collection includes four-floor plans (Haven, Manor, Retreat, and Sanctuary) which range in size from 1,404 to 1,706 square feet. The Keystone collection features larger layouts in five models (Cornerstone, Hearthstone, Ridgestone, Rockwood, and Sunridge) from 1,884 to 2,357 square feet. Both models offer two bedrooms, two bathrooms, and two-car garages. While potential homebuyers are drawn to Four Seasons at Beaumont’s elegant residences, they are equally impressed by the community’s resort-style amenities. There are two spacious clubhouses within the community, each with recreational opportunities and plenty of room for socializing. Four Seasons at Beaumont’s main clubhouse, known as The Lodge, contains hobby and game rooms, craft studios, a theater, a library, a grand ballroom, and a computer lab. The Lodge also houses The Bistro, a full-service restaurant where residents can enjoy a casual lunch or elegant dinner. There are many options for homebuyers in Four Seasons at Beaumont. A diverse mix of single-family and attached duplex homes are available as both new construction and pre-owned resale homes. Adjacent to The Lodge, residents can stay in shape at the fitness center. This large facility provides cardiovascular and strength-training equipment, an aerobics studio, a heated spa, and a full-service salon. The large outdoor sports complex spans 10 acres and includes an outdoor swimming pool, as well as tennis, pickleball, bocce ball, and basketball courts. When asked about what makes Four Seasons at Beaumont stand out, local real estate expert, Gay Lyon, finds that homebuyers enjoy the walking trails which wind throughout the community, the on-site restaurant, and other amenities. “I have spoken to a couple of my clients who have bought homes there and they just love it.” Of course, these amenities are only the beginning of the active adult lifestyle. Four Seasons at Beaumont residents can join in on a variety of games like bingo, bridge, canasta, bunko, poker, and board games. There are fitness classes, dance classes, and many other ways to socialize. A few of the community’s popular social groups include a book club, a knit and crochet club, tennis clubs, and the 8-Ball Club. For active adults in the Southern California area, Four Seasons at Beaumont offers many exciting benefits. The scenic beauty, lovely homes, and resort-style amenities all come together to create an ideal environment for active adult retirees.